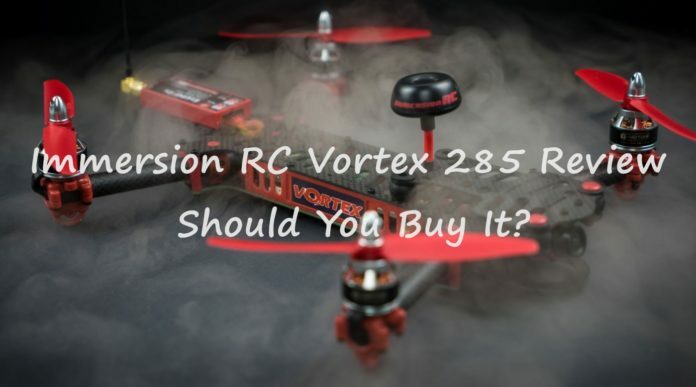 Home Product Reviews Immersion RC Vortex 285 Review – Should You Buy It? Immersion RC Vortex 285 Review – Should You Buy It? 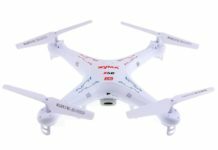 The Immersion RC Vortex 285 is the new favorite among all the drone users. 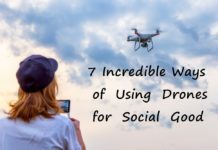 The drones have impressed everyone as of now and are very likely to please the drone lovers. 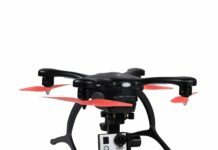 This phenomenal and outstanding device has been the center of attention in its launch among the drone users. This article will present to you the review of the Vortex 285 and let you what the buzz is all about. Immersion RC Vortex 285 do have a pack of some actual power and this helps them do well in the competitions.Further, this is also a racing drone.The user can shift the colors and the maximum acceleration indicators, including the patterns make up to the best of patterns. The Immersion RC Vortex 285 comes in a cozy packing equipped with all the essentials. 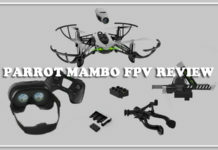 These constitutes of the Vortex 285 Race Quad, T-motor 1806 2300kv Motors, 600tvl CMOS FPV Camera, Bottom Plate, FatShark SpiroNet, Some Crack Pack Parts and 2 Sets of the 5030 Propellers. The drone is not completely ready to fly once you take it out of the package. It requires a little assembling of the parts. This can be performed through the use of Vortex 285 manual. 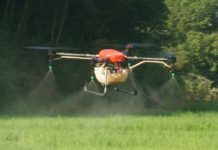 The stoic drone is made up of strong carbon fiber which is completed through the use of extensions made up of plastic. 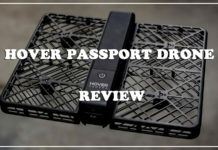 The drone can be crunched into a small and compact unit which is easy to store and take anywhere with you. 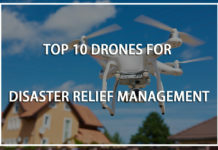 The camera of the drone is attached to the top of it to provide better and clear pictures. The design is built to take all the attacks. The hinge of the drone let you steer it as you like. The arms of the drone are made to kick back and retract to avoid a collision. However, this might affect the flight and the propellers. 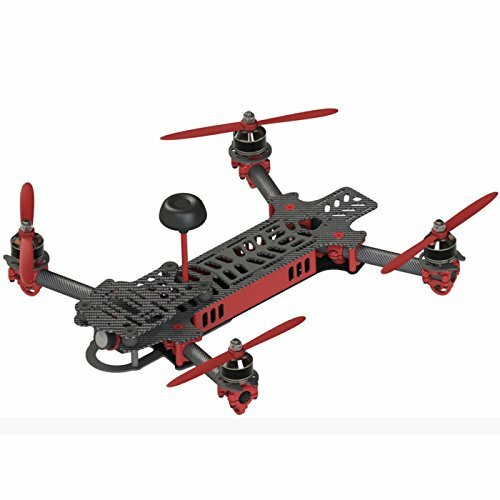 The drone, as a whole, looks strong and solid, thanks to the designers. Be it the compact fold up design or the arms folding towards the drone rear, it not just looks good but has the user handling it easily. The user may be able to notice the ESCs being absent. This is due to the fact that Immersion RC has been designed on the quad-side be tiny enough to not need them, rather fit in the arms of the quad. The hinge mechanism is involved here. There is a CMOS Camera included in the design is present on the top plate, attached. However, the camera is still being on the dampened one. 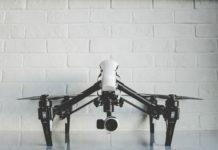 The camera of the drone is mounted on the of the drone. The device is built in a manner to stabilize itself even with Mobius and GoPro camera. The camera is hinged and moves to capture the images even at high speeds. The camera runs at a whopping 180ma and 5V. It is equipped with FatShark 900TVL CCD camera which provides clear and vibrant pictures to the user. Well, the drone has no battery. The Vortex 285 does not come with any battery. 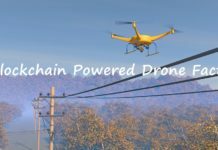 This is an advantage to the user as the drone is compatible with the best of the batteries. 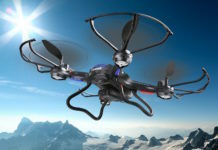 The users can choose the most suitable battery as per their need and fly their drones. A 1300 mAh battery will have a flight time of 6 minutes. Therefore, it is preferred to pick a battery over and above 1300 mAh. The Immersion RC Vortex 285 has a controller is integrated to the door. 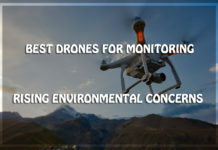 It is a compact equipment which offers CleanFlight feature, support a barometer, and is compatible with further advanced technologies. It is also incorporated with a USB which will let you use your computer with the controller. 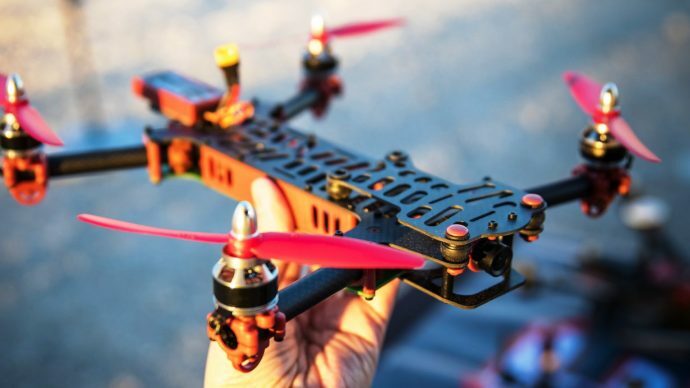 The controller is packed with a full graphic OSD to effortlessly fly the drone. The controller has a range of about 2 kilometers. The seamless, effortless and stable flight performance of the Immersion RC Vortex 285 will mesmerize you. 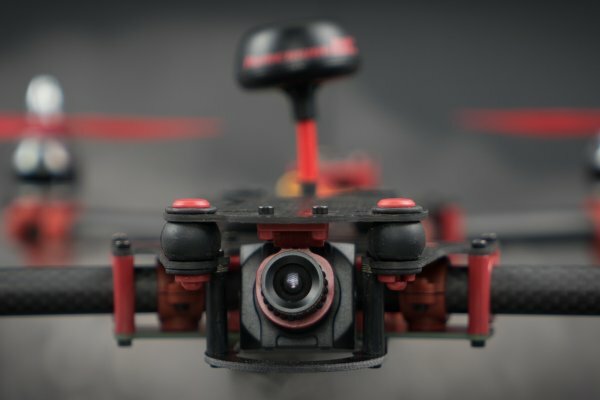 The Immersion RC Vortex 285 uses the advanced technology called the rotor sense to allow you to steer the propellers without the risk of the swapping of the motor wires. The drone is covered with LEDs on the top and the bottom to allow the operator to track the drone. These are controlled by the ARM processor. The brake lights are of a different color than the lights for the direction. 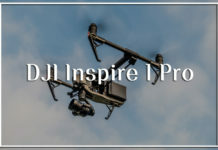 The LCD display with the full display OSD lets the user experience a smooth flight of the drone. The performance of the device also depends on the battery which is used. 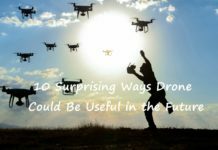 The drone can up to 70 miles per hour on a 1300 mAh battery. The price of the Immersion Vortex 285 is around $450. This is an absolutely understated price of so great a product which offers style, adaptability and high performance all in one. However, it must be understood that the price of the battery will have to be borne by the buyer. Another drawback to this great purchase is that the official does not offers guarantee or warranty of any kind on the product. This is a serious issue with the purchase of ImmersionRC Vortvex 285. 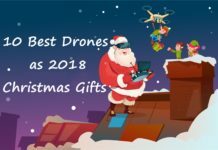 The Immersion RC Vortex 285 is an absolutely stunning drone which is budget friendly. 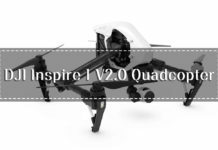 This drone is a perfect fit for the intermediate and the professional drone flyers. 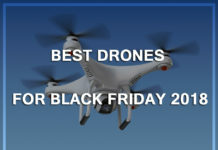 The drone excels in almost every filed and gives a stiff backlash to its competitors. 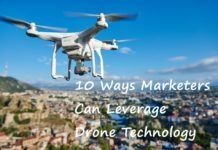 The only concern regarding the drone is the absence of guarantee with the product by the manufacturer. In general, the racing drones do have a pack of some actual power and this helps them do well in the competitions. This is exactly how the Storm Type A performs. Further, this is also a racing drone. All the user has to do is assemble and let it show its performance. 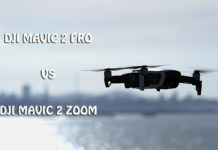 The storm racing drone is not just high in competition with the existing drones, considering its uniqueness and features. Further, with the features, the brake lights are an add-on. The user can shift the colors and the maximum acceleration indicators, including the patterns make up to the best of patterns. 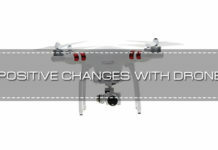 These features add to the performance and help the drone get an added visibility. 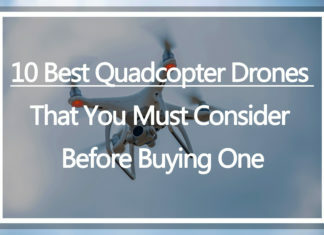 Especially, when the drone is flying in the noon or in the pitch black surroundings.